An impromptu requires little or no preparation. The speaker is knowledgeable of the subject they deliver and can create the speech spontaneously. However, this knowledge has a basis. For example, if an individual is called to speak in front, the answer they give is already an impromptu based on their understanding. This skill is an advantage to most, to the students, employees, managers and more. It helps in controlling the crowd and the content you speak. Still, it requires confidence. Once the speaker doubts their understanding or panics, the speech may not be as convincing or lose the attention of the crowd. Many people had lost their chance of earning the job they want as they weren’t able to answer appropriately to the interview. They found it difficult to immediately respond under pressure since they weren’t used to it. On first experiences, it is inevitable to be nervous but panicking can be avoided as you practice over time. Tensed, most people would succumb to stress and stutter, leading to a misinterpreted point. Faulty answers are unavoidable, but less is better than more. 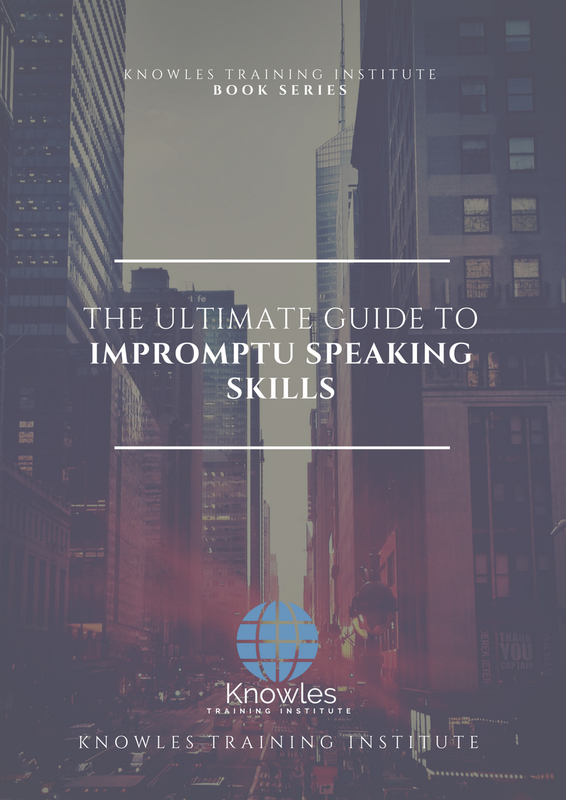 Through learning impromptu speaking skills, it can also help you in gaining greater confidence, not only learn how to speak. This skill will not be flourished just by practicing it, however, through experience will a person be the best in it. It is intended for everybody, especially those who need the courage to speak for themselves. This course will help individuals to be poise and improve themselves for better opportunities in the future. 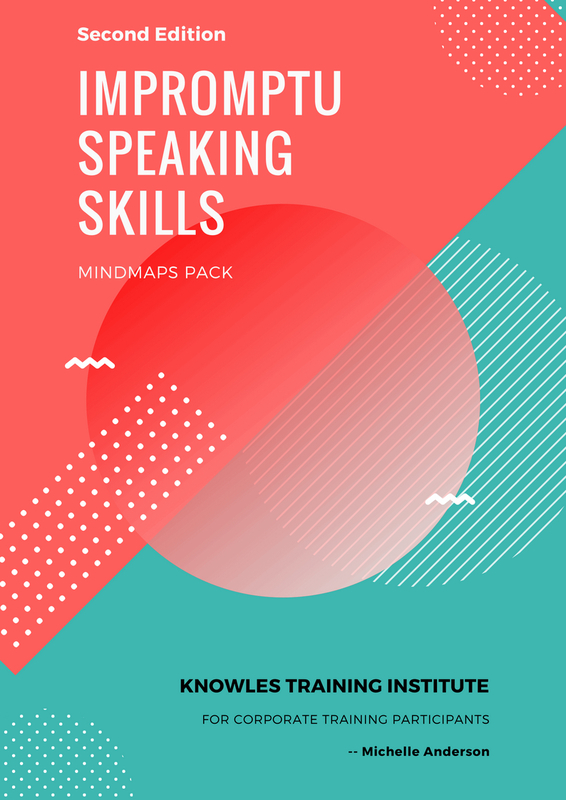 This Impromptu Speaking Skills workshop is ideal for anyone who would like to gain a strong grasp and improve their Impromptu Speaking Skills. The duration of this Impromptu Speaking Skills workshop is 1 full day. Knowles Training Institute will also be able to contextualised this workshop according to different durations; 2 full days, 1 day, half day, 90 minutes and 60 minutes. Bigger chances of earning a promotion. More opportunities in jobs or career growth. More experience in speaking in front of an audience. Exposure in events, celebrations and, other occasions. Impress people with your speaking skills. List the moments experienced in failing to answer the question appropriately. Identify the mistakes made throughout the situation. Recognize similar situations and react fittingly. Give examples of impromptu speech on certain occasions. They will be able to contrast mistakes from suitable actions. Get better in discussing thoroughly and in detail with little or no preparation. Learn to predict situations that need impromptu speaking skills. 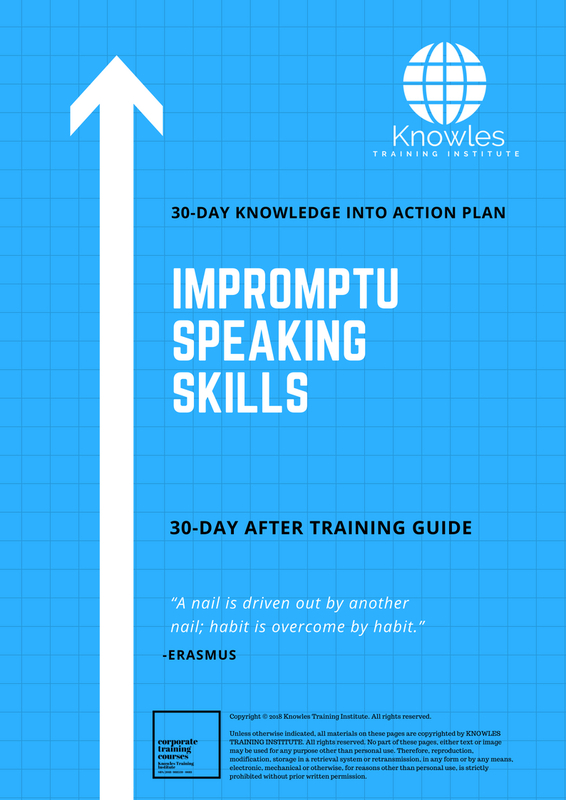 Apply impromptu speaking skills in daily work. Be better in performing impromptu. Always be prepared especially in unexpected events or meetings. What is an impromptu speech? How to be better at doing an impromptu speech? What are some Impromptu Speaking Skills? Keys to better impromptu speaking. When are impromptu speaking skills necessary? What are the advantages of impromptu speaking? Course group impromptu speaking activity with random topics from a ballot box. Why you need Impromptu Speaking Skill at your work? 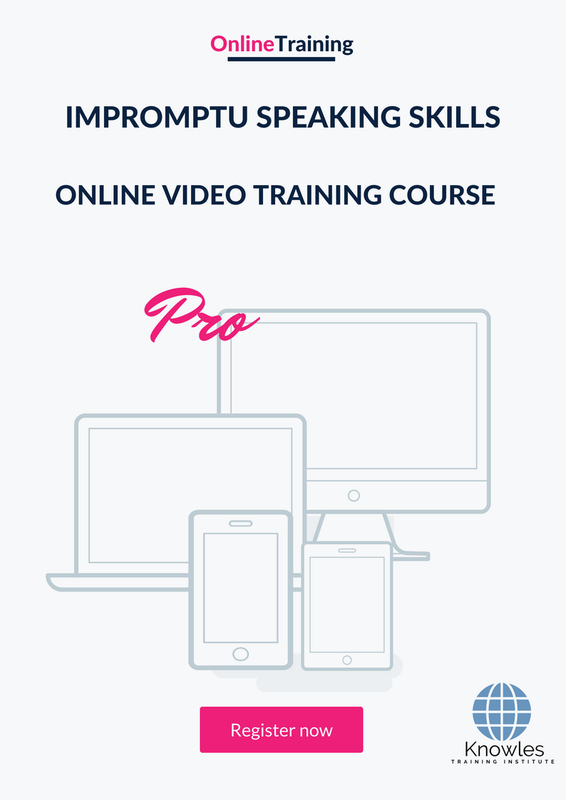 There are 3 pricing options available for this Impromptu Speaking Skills training course. 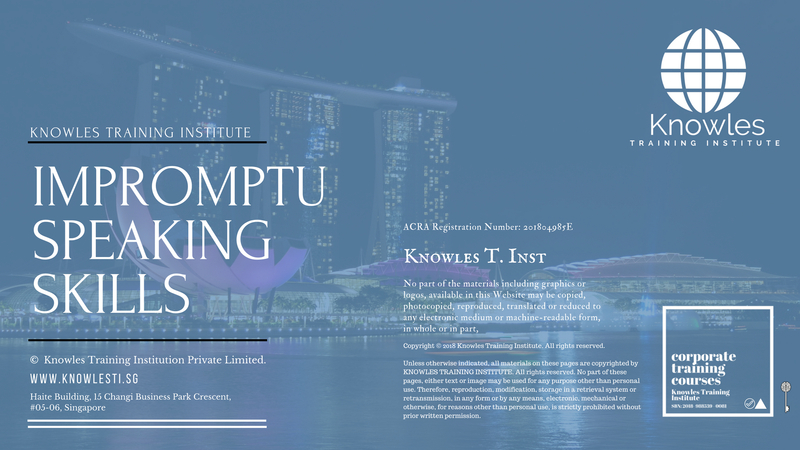 Course participants not in Singapore may choose to sign up for our online Impromptu Speaking Skills training course. 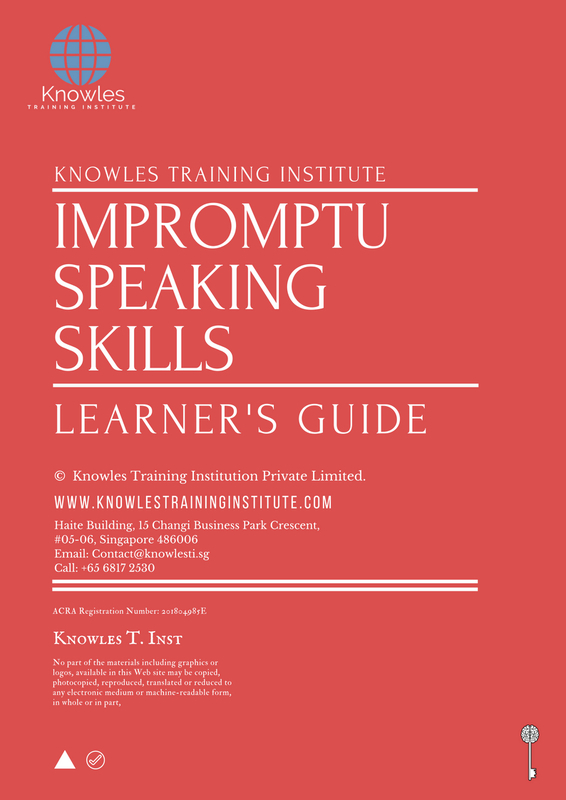 Request for this Impromptu Speaking Skills course brochure. Fill up the short information below and we will send it to you right away! Register For This Impromptu Speaking Skills Course Now! 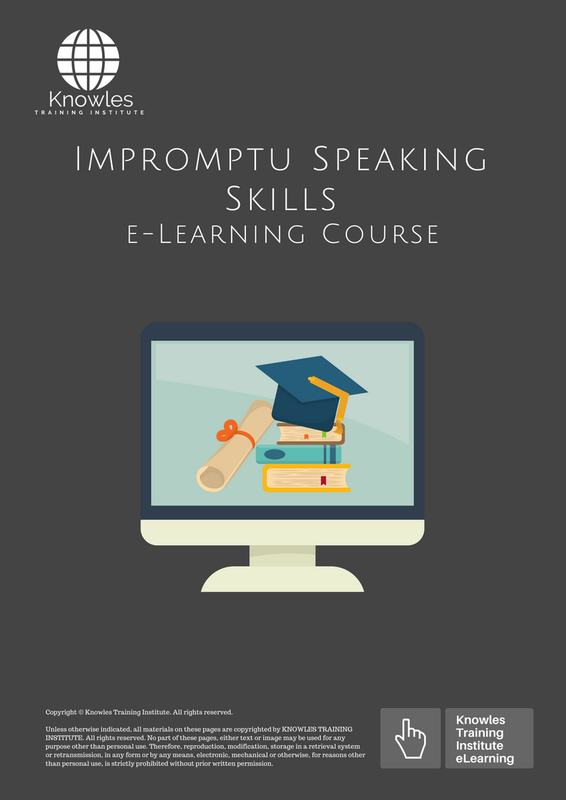 Share This Impromptu Speaking Skills Training Course! 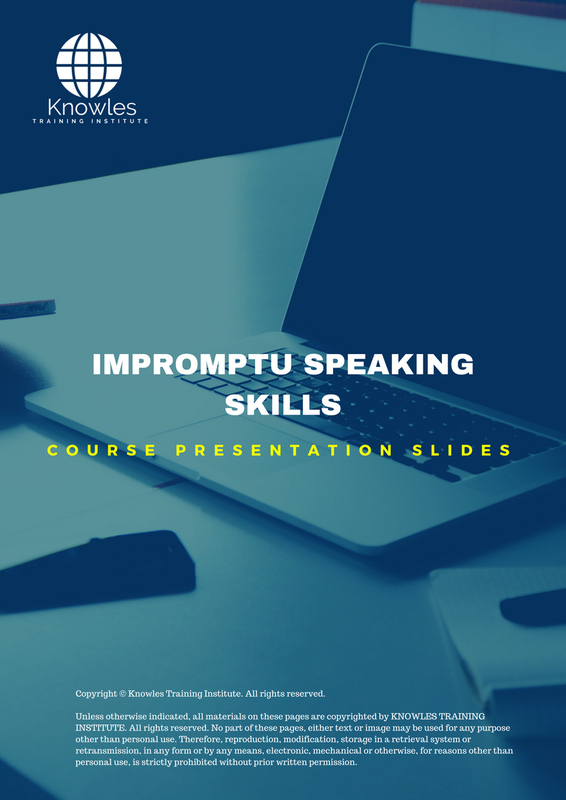 Impromptu Speaking Skills course, workshop, training, class, seminar, talk, program, programme, activity, lecture. Impromptu Speaking Skills courses, workshops, classes, seminars, talks, programs, programmes, activities, lectures in Singapore. Impromptu Speaking Skills improvement tips, Impromptu Speaking Skills techniques, improve Impromptu Speaking Skills, improve Impromptu Speaking Skills games, Impromptu Speaking Skills improvement exercises, improve Impromptu Speaking Skills power, how to have good Impromptu Speaking Skills, how to have good Impromptu Speaking Skills in studying, how to build up your Impromptu Speaking Skills, how to improve Impromptu Speaking Skills how to improve Impromptu Speaking Skills course in Singapore. Enhance, boost, build up, enlarge, heighten Impromptu Speaking Skills course in Singapore. 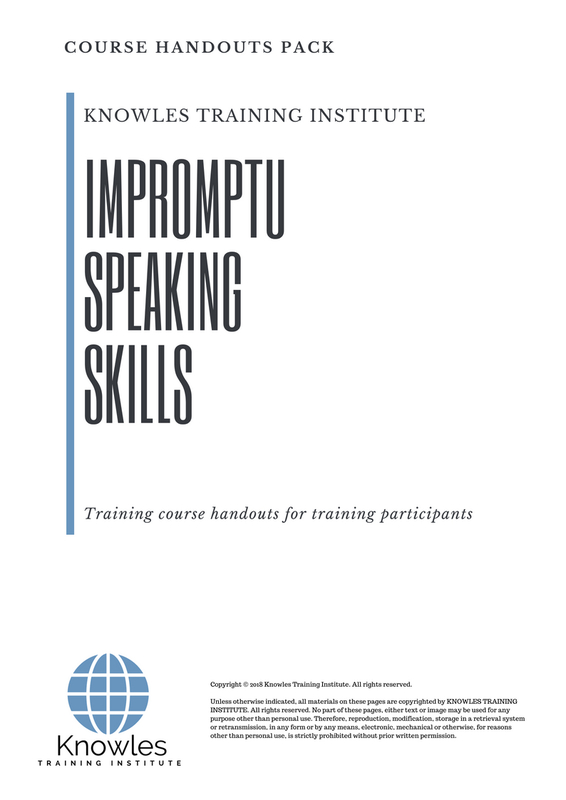 Increase, intensify, raise, reinforce, strengthen Impromptu Speaking Skills. 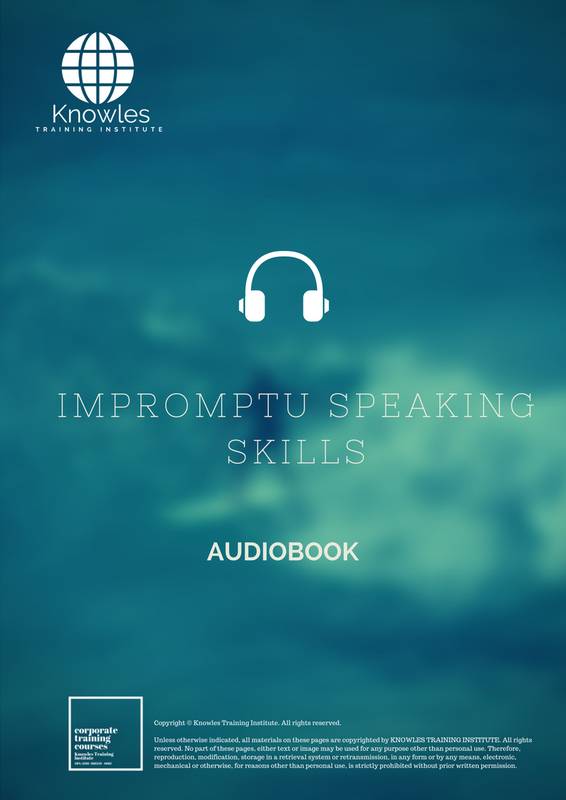 Upgrade, amplify, boom, elevate, exaggerate, magnify, grow, gain Impromptu Speaking Skills. 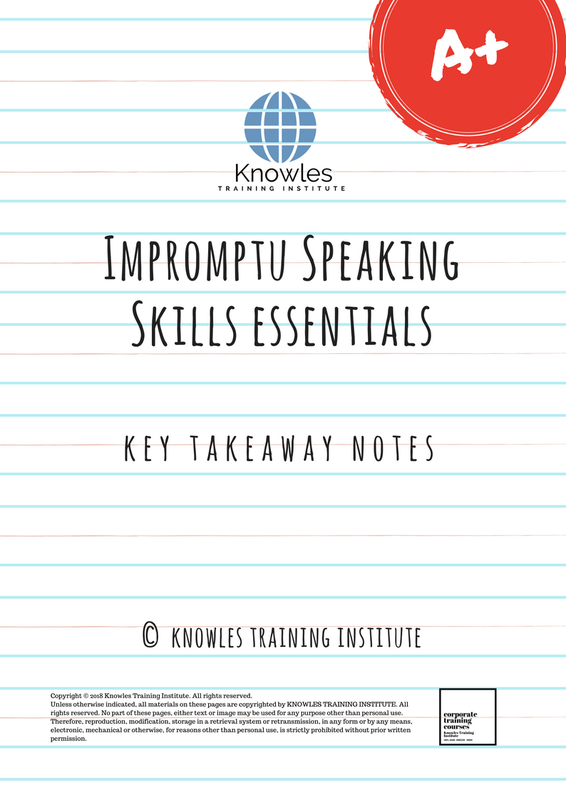 Develop Impromptu Speaking Skills, multiple, power up, beef up, bolster, establish, extend Impromptu Speaking Skills. Invigorate, restore, step up, toughen, empower, fortify, regenerate Impromptu Speaking Skills. 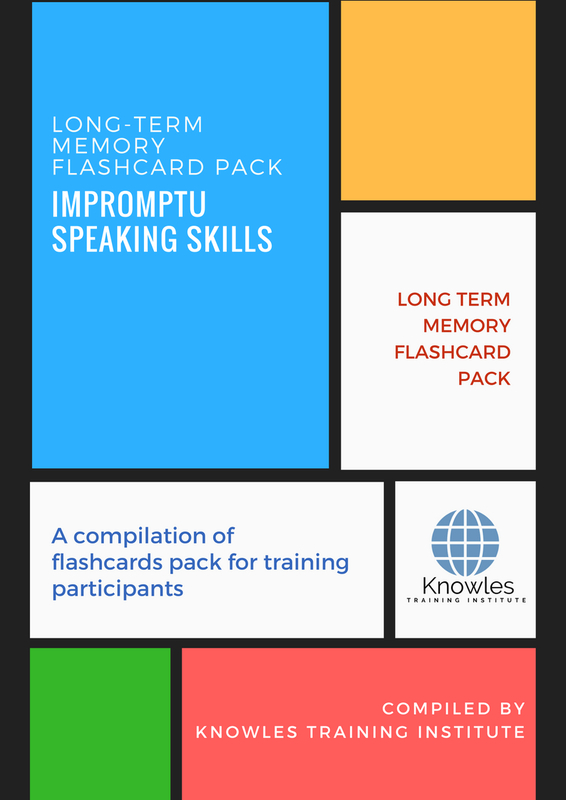 Rejuvenate, renew, escalate, expand, maximize Impromptu Speaking Skills. Powerful, mighty, impressive, competent, great, excellent, exceptional Impromptu Speaking Skills in Singapore. Superb Impromptu Speaking Skills. Super, superior, strong, solid, active Impromptu Speaking Skills training courses and workshops in Singapore. Impromptu Speaking Skills enhancement, booster, building up, enlargement, heightening, increment, strengthening, amplification. Impromptu Speaking Skills magnification, growth, development, power, empowerment, regeneration. Impromptu Speaking Skills rejuvenation, development, escalation, expansion. 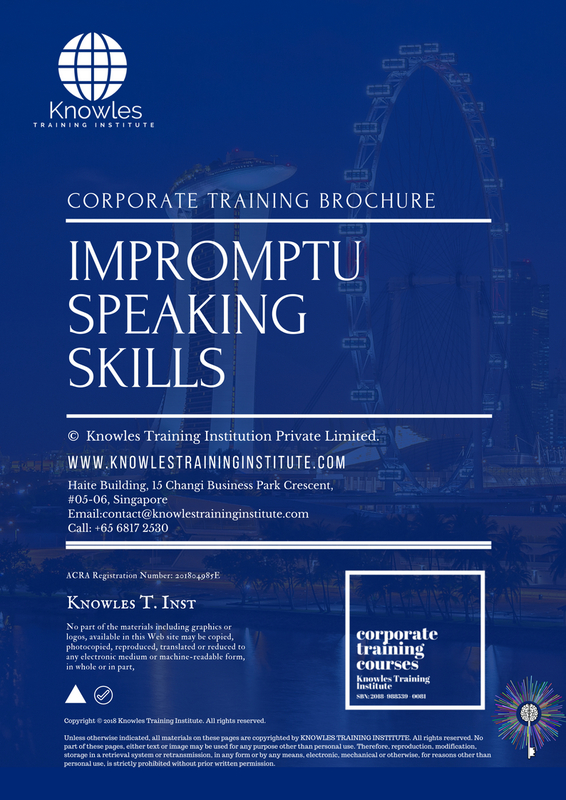 Impromptu Speaking Skills maximization, power training courses & workshops in Singapore.